Shivank Group is a professional and well-established name in the real estate sector which stands tall on the foundation of its values. Shivank Group is committed to cater its customers with quality and excellent real estate spaces ensuring satisfaction and redefined lifestyle of people. 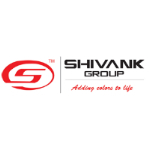 The projects of Shivank Group are distinguished by its high quality construction, timely execution and attention to every detail..The firm has over fifteen years of experience in the building industry, having built several buildings since inception. Given the immense scope in the housing industry in India, the company has been focusing on promoting a series of large residential townships in several areas in the city. All the ventures promoted by the firm so far have been highly successful. The company is proud of the reputation it has built for honesty and the quality of construction of its projects. Its management has set out a strict code of conduct to abide by in its dealings with customers.During the 15 years of its establishment, the Organization has developed and delivered around three million square feet of project area around Jaipur, Rajasthan; counting successes not in terms of financial gains but the numbers of satisfied customers it has catered to. It is known to deliver all promises not just in words, but also in TRUE spirit. Quality construction is a primary objective at Shivank Group.